Description: The DOGGO Parcours is a waterproof, unisex trainer that is designed specifically for Agility, whether you are running indoors on turf or outdoors on grass or dirt. Continuous waterproof membrane provides weatherproof, breathable comfort. In general, most trainers being worn in Agility today are trail running shoes which offer you support in one direction i.e. forward. In agility, however, we are constantly changing directions. I was looking for a waterproof shoe with 'all round support' which would help me running an agility course. What attracted me to these shoes was the fact that, unlike other trainers, these are specifically designed with the help of a former Agility World Champion. Overall, I found them extremely comfortable. They are a generous fit and the quick lacing system is good. They offer a system / support with a re-inforced heel cap and toe box, and I found the cushioning under my heels and around my ankles was really comfortable. Best of all is the fact that the trainers are totally waterproof as I am a full-time dog walker and have tested on numerous, very wet and muddy walks, walking through every puddle possible. After a full day of doing so, my feet have stayed dry. Must say, I'm very impressed with them so far. Because my dog is on 'winter rest,' I have yet to try them on the Agility course so cannot say for sure but as I now there is nothing I would change. I am looking forward to testing them when we start back up in March and am fully confident that they will offer me exactly what I need from them. The DOGGOs where thoroughly tested at very top level agility. The 2016 German Agility team where each kitted out in a pair to take part in the FCI Agility World Championships. What did you think of the design of the product? The DOGGO Parcours come in five colour options. I chose grey / orange. Other colours include Black, Red, Blue / Yellow and Pink / Blue. Price: £99.00. Shipping is free in the UK. Value for money: You pay for what you get. This is German engineering at it's best and worth every penny. Would you recommend to your friends? Yes. I'd very much recommend DOGGOs to everybody - and already have - for all the reasons above. 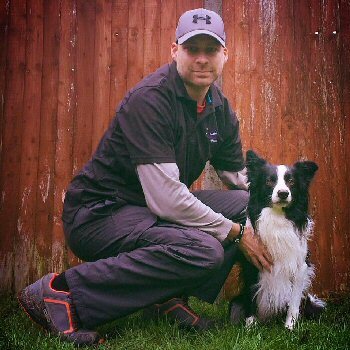 Daniel Gee is a full-time dog walker and Nutriment stockist, covering the Reading area. He started his business ActiveK9 Dog Walking five years ago. He has been involved in dog training since 1995 when he started training at a local club called Garden Route Dog Club in George, South Africa. 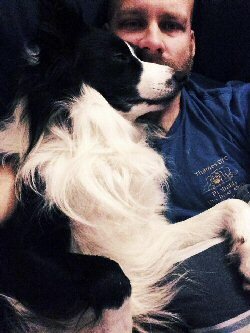 In 2000, he moved to England and continued his love for training dogs at Thames DTC. He is now a member at Dogmanics. Daniel's dog Mick (Makeitso Take The Mick AW/S) competes in Grade 7 at KC (LHO) and is in Champ at UKA (Standard height). He is very much looking forward to competing this season and wishes everyone the very best of luck. Just have fun out there.